Did the Kindle Start a Trend Toward Paperless Living? A recent survey put out by Gartner looked at portable device usage among five hundred or so participants to see how things like tablet computing were changing the way we live. One of the more notable results that they came up with was an indication that over 50% of those involved said that they prefer reading on a screen to reading on paper. This includes newspapers, magazines, and books. They didn’t specify whether or not the participants logged any of this data based on using a Kindle or other dedicated eReading device, but that matters surprisingly little in this case. The reading experience on portable devices is becoming comparable to, and sometimes superior to, that of reading on paper. Who would have thought? It would be somewhat foolish to claim that this was the result of the Kindle’s impact of consumer impressions. We’ve been heading toward digital text distribution since the first computers were capable of storing enough text to be useful. It was only a matter of time for it to reach the reading public. It was what the Kindle signaled that accelerated the transition. 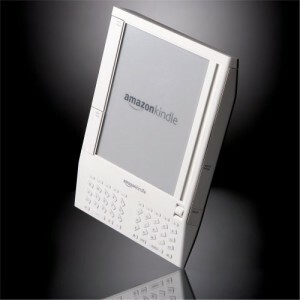 Sony already had a better eReader on the market when Amazon released the first Kindle. What they didn’t have was the Kindle Store. Amazon made it easy for their customers to buy popular books. They even went the extra mile and made sure that purchasing could be accomplished right from the device itself. With no more need to find USB cables or memory cards, eReading was finally more convenient than picking up a book from the store. It was sometimes even easier that picking up a book off the shelf. Over time, adding devices as they went, Amazon brought their selection to practically any device with a screen. The Kindle itself was and is still important for many people, but just about anybody who is interested will always have a device within arm’s reach that can load a book for them now. Convenience has reached an extreme. Convenience is what the Gartner survey attributes the move away from paper to. Their participants indicated that they were willing to pick up whichever device lay closest to hand for practically any reading situation, even to the point of excluding print at times. Since all participants were required to have a media tablet and at least two other similar devices, being out of touch would have been a stretch. None of this says that the printed book is really going to disappear. We know that won’t happen any time soon, despite the fact that the death of print has been declared regularly since at least 1984 (extra points for catching the obvious movie reference). What this means is that print is likely to lose its primary position in the reading world, even for magazine and newspaper readers, before too much time is up. Tablets used to be toys, now they are becoming household tools. Prices are dropping, exposure to options like the $79 Kindle is up, and it seems like every day readers get more to choose from. Publishers can’t even entertain the notion of maintaining their old model unaffected at this point.